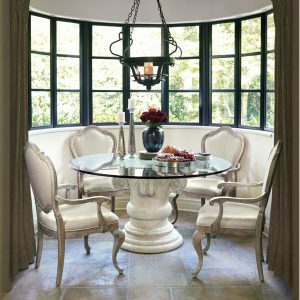 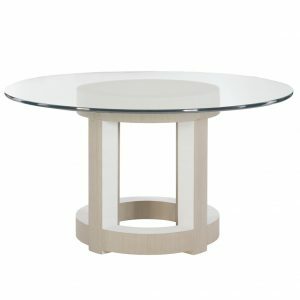 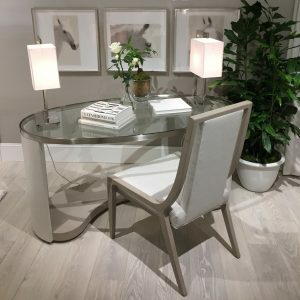 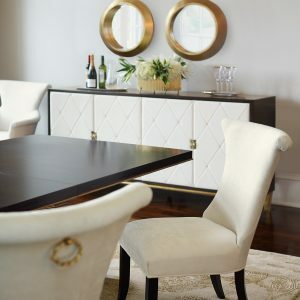 If you’re shopping for contemporary dining room furniture online, you’ve come to the right place! 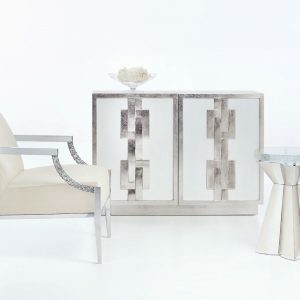 At Katzberry, we take pride in offering our customers a lovely selection of distinctive home decor. 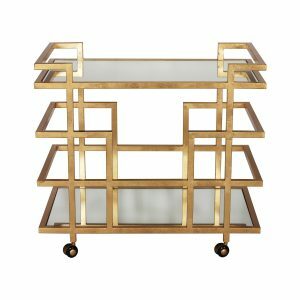 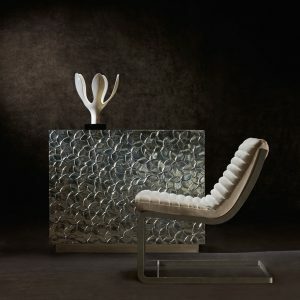 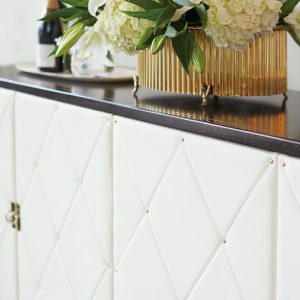 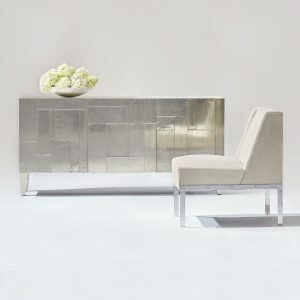 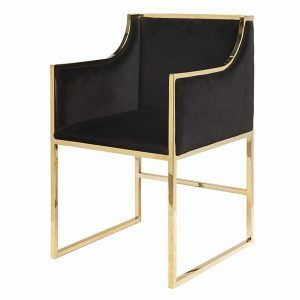 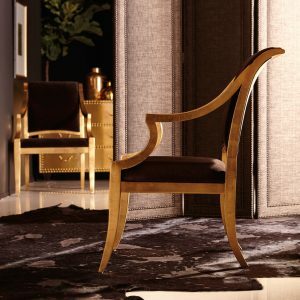 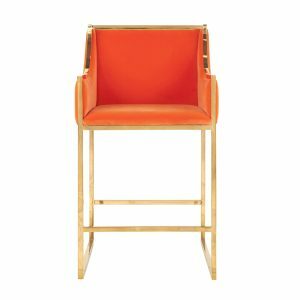 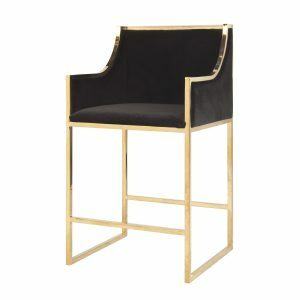 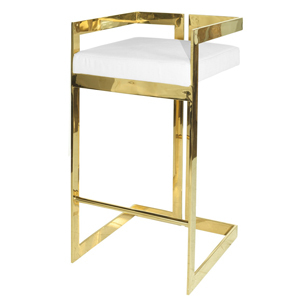 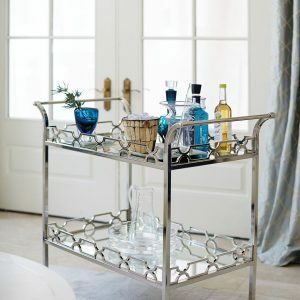 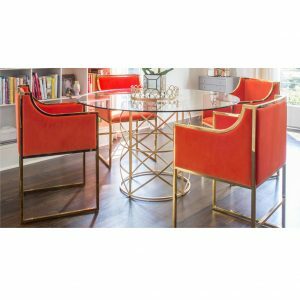 Browse our modern selection of dining chairs, bar chairs, table sets, buffets, bar carts, and more. 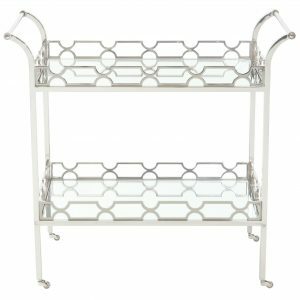 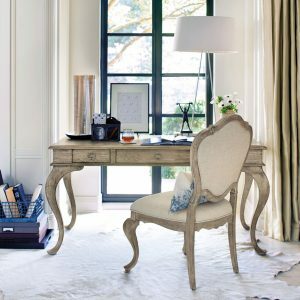 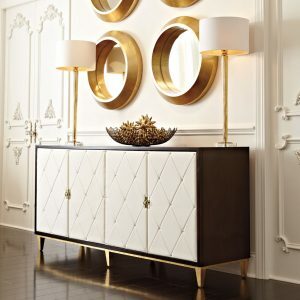 No matter what room you’re shopping for, you’re sure to find something you love in our online furniture store. 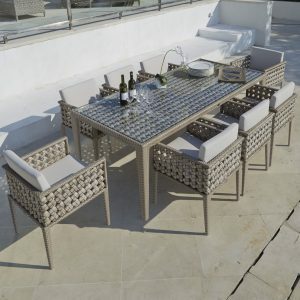 We also carry a modern selection of outdoor living furniture that will turn your backyard or patio into a beautiful oasis. 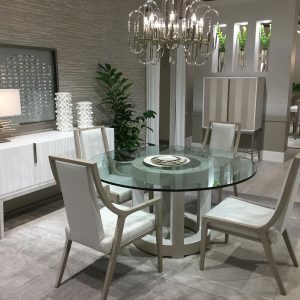 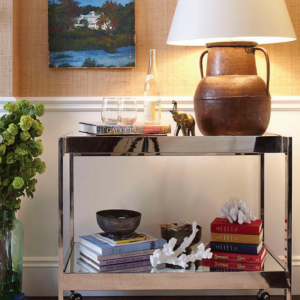 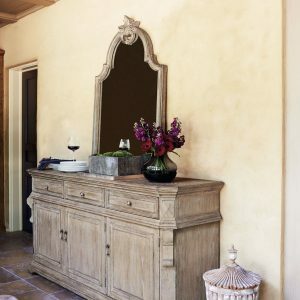 If you can’t find what you’re looking for in our online store, or you have questions about a particular piece of furniture, contact our team today. 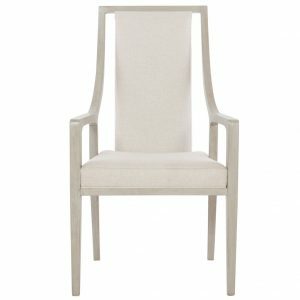 This Linear Gray and White finish Side and Arm chair has a soft contemporary feel. 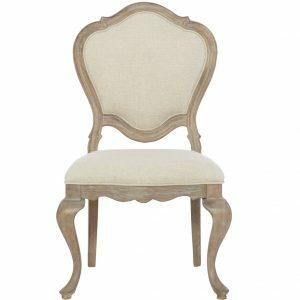 Chairs have upholstered seat and inside back with top stitching and welt around seat bottom. 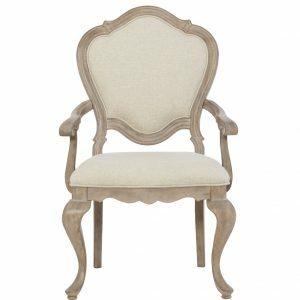 Upholstered outside back with welt. 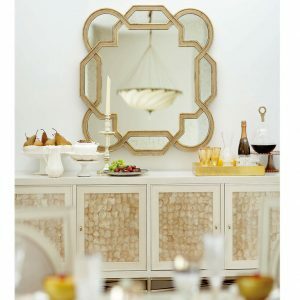 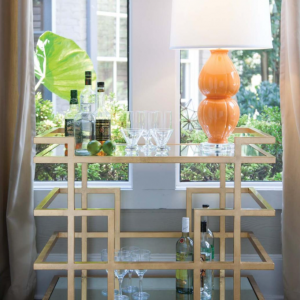 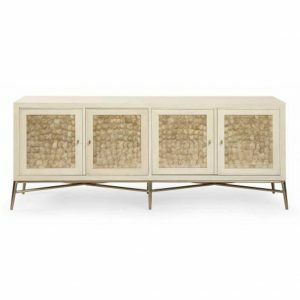 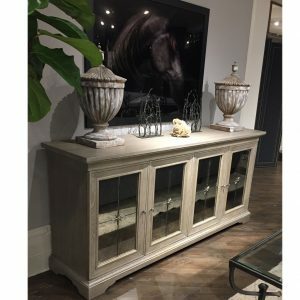 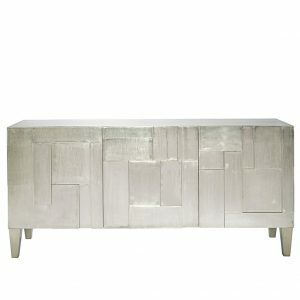 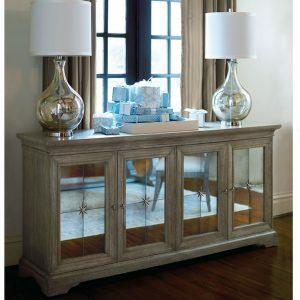 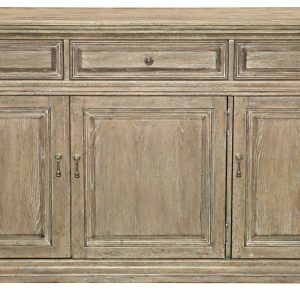 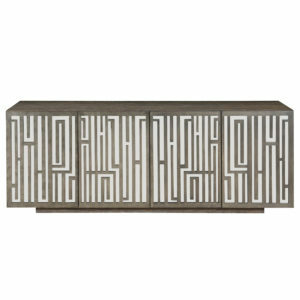 This gorgeous buffet is made of Flat Cut White Oak veneers, and has a Weathered Sand finish. 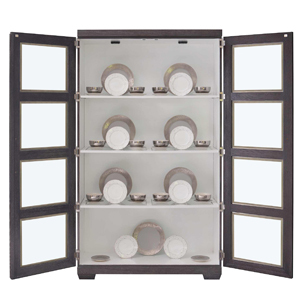 Opens to three top drawers, with left and center drawer having a wrapped pad, right drawer has silverware insert. 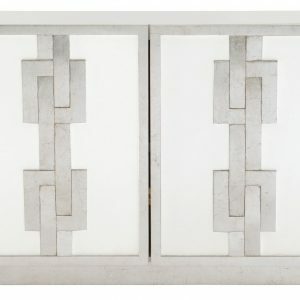 Front has three doors, behind left paired doors are is one adjustable/removable shelf, behind right door are two adjustable/removable shelves. 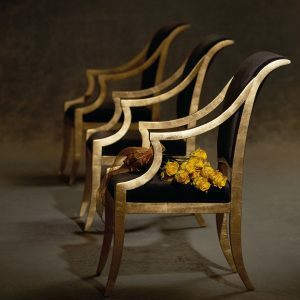 Has adjustable glides. 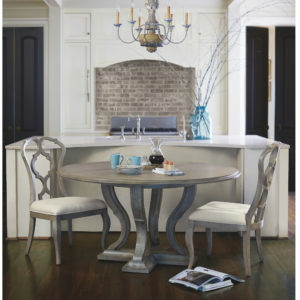 This dining table has a fancy top of flat cut and quartered white oak veneers, with a Weathered Sand finish. 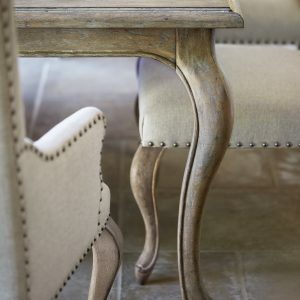 Comes with one matching leaf (table width with leaf is 110″) and adjustable glides. 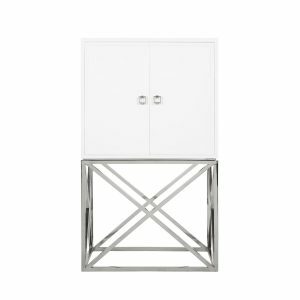 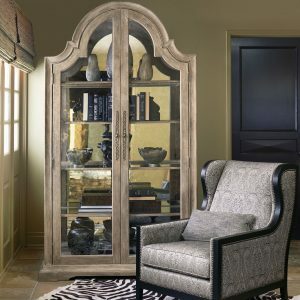 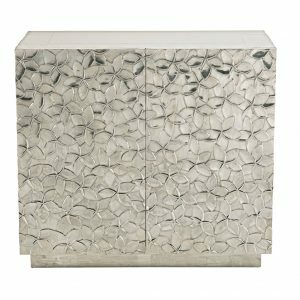 The Decorage display cabinet is Ash solids and Quartered White Oak veneers in a Cerused Mink finish. 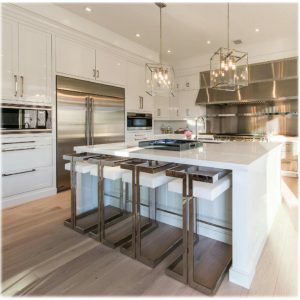 Cabinets have wood framed doors with tempered glass panels and stainless steel border around each panel in Silver mist finish. 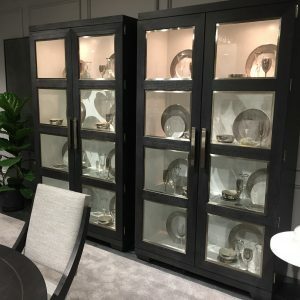 Behind doors is one fixed and two adjustable removable wood framed glass shelves wit plate grooves and tow halogen lights with touch dimmer switch. 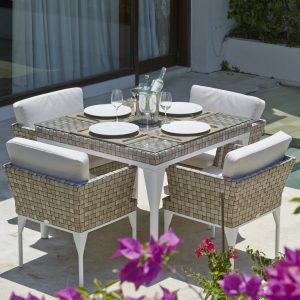 Inside is white and has padded feet with adjustable glides. 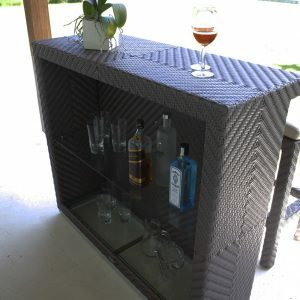 For added safety an anti-tipping kit is included. 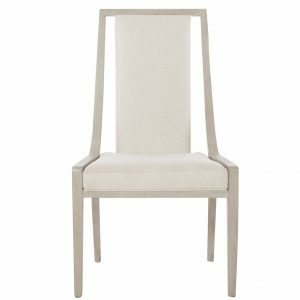 Dining Chairs are available in either the arm or side chair. 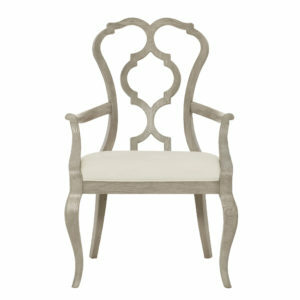 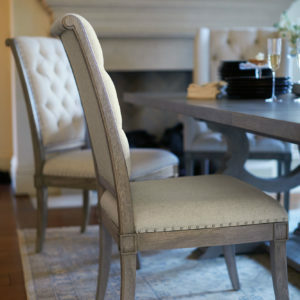 They have upholstered slip seat with welt and has Gray Cashmere finish. 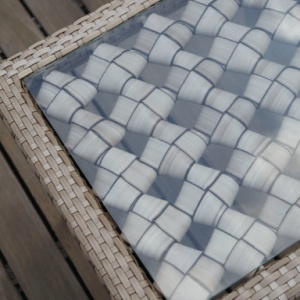 Other fabrics are available. 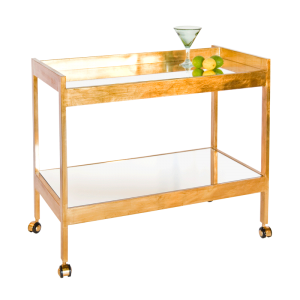 Please contact our customer care team at customercare@katzberry.com for assistance. 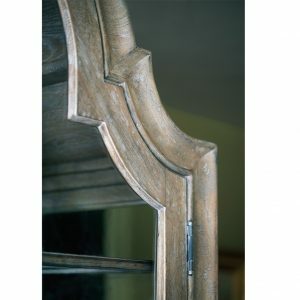 Gray Cashmere finish on exposed wood frame. 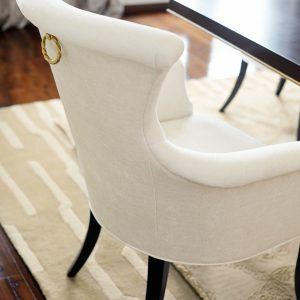 Upholstered slip seat with tape and nailhead trim. 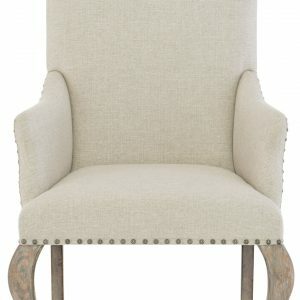 Upholstered button tufted inback and upholstered outback with tape and nailhead trim. 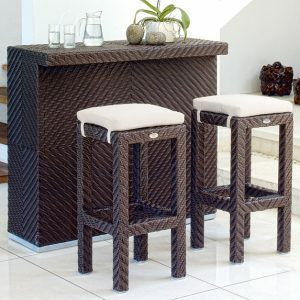 Available in other fabrics or customer own fabric.